Queen duvet cover (88" x 88") featuring the image "Evening Shadows" by Hanne Lore Koehler. Our soft microfiber duvet covers are hand sewn and include a hidden zipper for easy washing and assembly. Your selected image is printed on the top surface with a soft white surface underneath. All duvet covers are machine washable with cold water and a mild detergent. Just stunningly beautiful Hanne - so perfect in values and colours !! Thank you for your thoughtful appreciation and support of my painting, Catherine! Thank you for your thoughtful comment, Anne! Thank you for your thoughtful comment and support, Bonnie! Thank you for your thoughtful comment and support, Toby! Thank you for your thoughtful comment, Amyn! This is very beautiful. Lovely water colour painting! Thank you for your thoughtful comment and support, Collin! 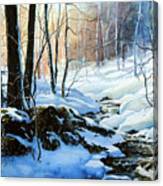 What a beautiful winter painting! Thank you for your thoughtful comment, Suzanne! Thank you so much for your wonderful comment and kind support, Ann! I am honored! Thank you so much, dear Mary, for your wonderful comment and support! 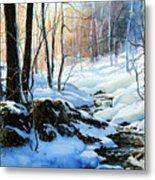 Thank you, Lori, for the great honor of a special feature of my painting in IMPRESSIONISM group! I appreciate your kind support and promotion! Thank you for your thoughtful comment, Georgia! A scene filled with peace and wonder, Hanne ... so gloriously beautiful!!!! congratulations on your most recent sale!!!! Thank you for your thoughtful comment, Lois! Thank you for you thoughtful comment and support, Kathy! Thank you for your thoughtful appreciation and support of my painting, Sonja! Such a beautiful scene and excellent work, Hanne! 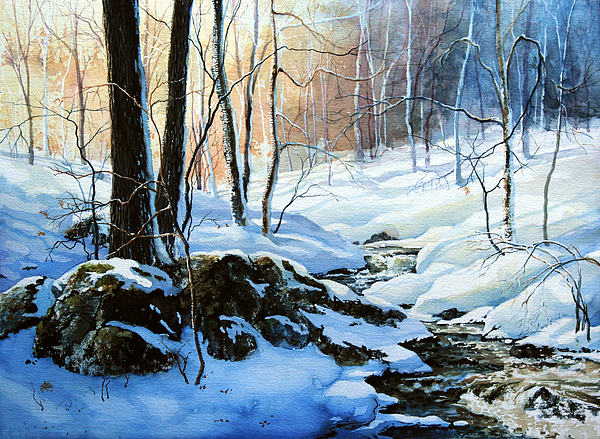 Congrats on your win in the Watercolor Only - Winter Scenes contest. Voted, L/F, sharing on FB, Twitter, and Pinterest. 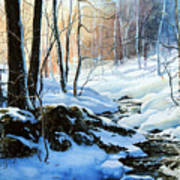 Thank you, conni, for your thoughtful comment and generous support and promotion of my painting! This lovely painting won FIRST PLACE in the FAA CONTEST, Watercolor Only Winter Scenes, on Dec. 16, 2017. Bravo! Thank you so much, Sandy! Sincere thanks to all who voted for my painting. I voted for many of yours as well. I am truly honored by your kind support and votes! Thank you for our thoughtful comment and support, Mary!